It’s only when we’re struggling to squeeze into our existing wardrobe, do we realise our sedentary lifestyles have done us in. But before you beat yourself up over those new love handles, here's a piece of good news. #MoveIt150, is a social movement by the Health Promotion Board to educate the public on the importance of clocking in at least 150 minutes of moderate to vigorous physical activities (MVPA) a week to reduce the risk of chronic illnesses such as diabetes, heart diseases, stroke and more. Nobody likes to spend their lunch hour rushing through a workout, shower and meal. 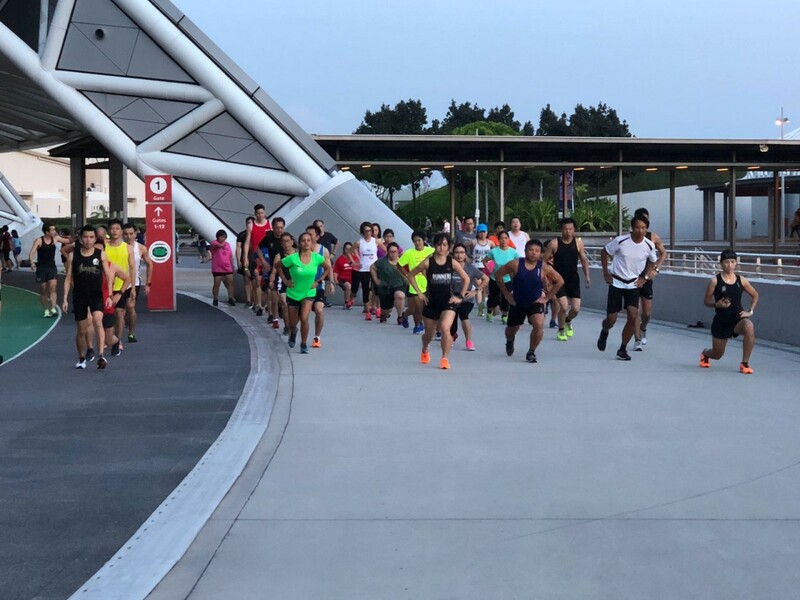 For the early birds who don't need coffee to start their day, Sunrise In The City's free workouts will get you all sweaty and pumped with adrenaline for the day ahead. Choose from over 60 workout variations from Gentle Flow Yoga to Pilates, HIIT and Circuit Training at over 30 locations islandwide. While most of the classes are scheduled to start as early as 7AM, there are also classes around noon and weekends too. 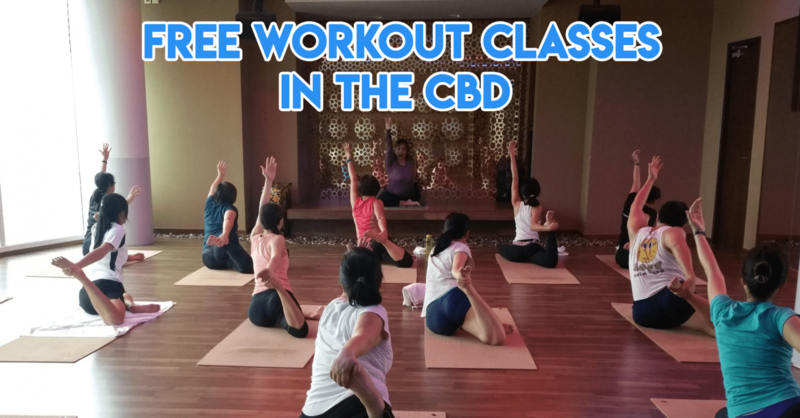 And if you’re not a morning person, Fitness@Work is another free exercise programme with daily exercise classes from 6.30PM onwards for you to sneak in some fat burning before dinner. For the uninitiated, HIIT stands for High-Intensity Interval Training. It's basically a series of high-intensity exercises in short bursts that sends your heart rate skyrocketing and helps you build muscle and condition your body on top of burning a lot of calories in a short amount of time. If you’re running on a tight schedule hoping to fit in some exercise somewhere, try QuickHIIT, an hourly group exercise session run by pro trainers. 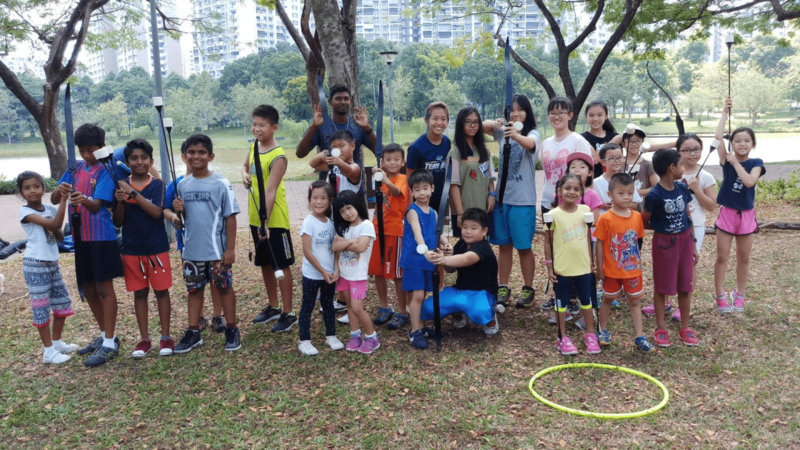 Sessions are held at various locations around the island like Choa Chu Kang Park, Bedok Stadium, and Our Tampines Hub. With so many spots islandwide, it’s virtually impossible for you to pull that "it's too far" card. Rope in the fambam and take your exercise outdoors with Sundays @ The Park and Mall Workouts where all ages and fitness levels are welcome. 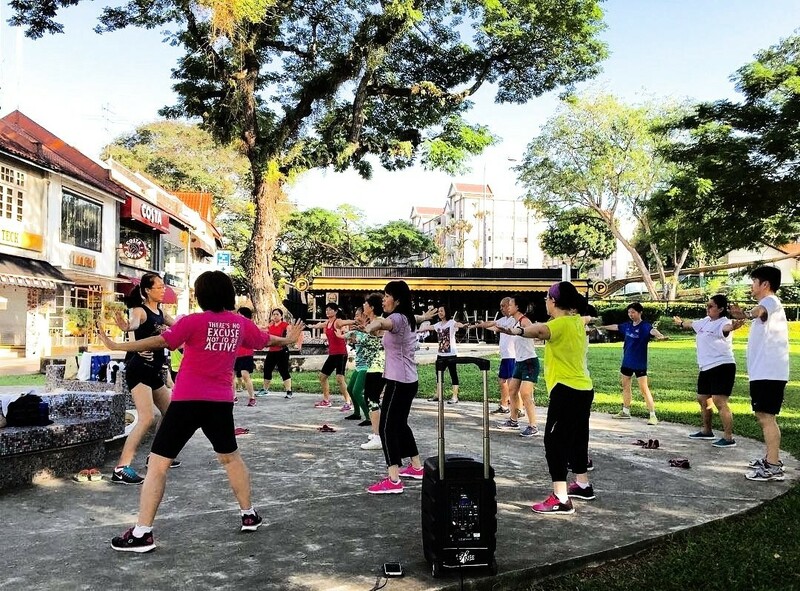 Their 1-hour fitness classes cover everything from Kickboxing and Piloxing to more unique dance-cardio options such as KpopX Fitness, Bokwa and Salsation. And don't let the logistics of family day scare you, the 1-hour fitness classes are held at different parks and shopping malls so you might just find one at your favourite mall or that expansive plot of grassy land next to your block. Trade up that trip to the mall and give your children a real outlet to exhaust their energy - and yours - with fun sports and games like archery, inline skating, nerf combat, rock climbing and more with Active Family. Not only do the classes make for great bonding opportunities, with all the activity, you'll be breaking a sweat in no time. Check out the full list of activities locations here. 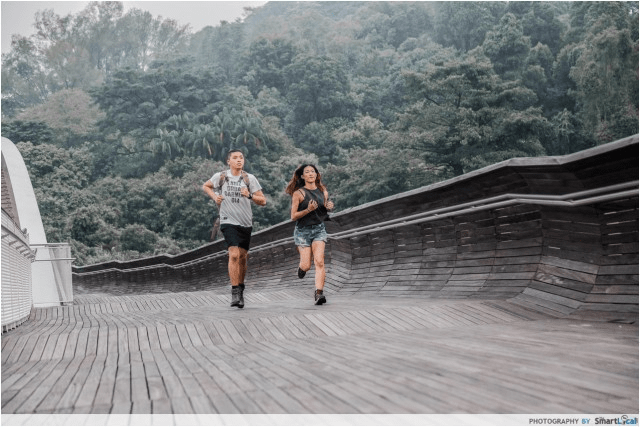 Clock in the miles across Singapore’s different scenic locations with i-Run, a weekly run programme led by professionals to motivate and get you on the jogging path to a healthier lifestyle. The programme also organises “running clinics” to help educate individuals on proper running techniques to avoid injuries and improve their cardiovascular health. With e-Scooters and discounted Grab rides everywhere, it's easy to miss out on the exercise we normally get in the form of walking. Thankfully, HPB's free higher intensity workout programmes will help you sidestep the hefty membership fees of gyms and yoga studios. Plus, it’s perfect for those with serious commitment issues. “Exercise is only for weight loss” is a common misconception amongst us, leaving those who are of acceptable weight thinking they don't need to work out. But in reality, exercise can reduce the risk of diabetes, high blood pressure, heart disease and even certain cancers. It even has a role to play in your mental wellbeing. In addition to their free exercise programmes, the #MoveIt150 social movement also reminds us that we should be clocking in a minimum of 150 minutes of moderate to vigorous physical activities (MVPA) per week for our bodies to work their best. So, if you're looking to add some variation to your exercise routine, sign up for any one of the programmes above and get moving. Slots fill quickly, so register early for your desired class!